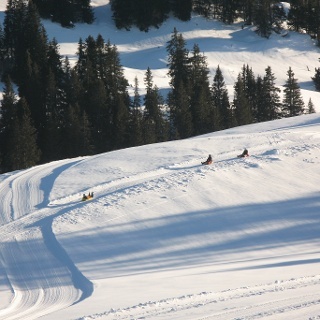 Challenging toboggan run with some very steep sections, delightful refreshment stops and great views. The second part of the route is easier. 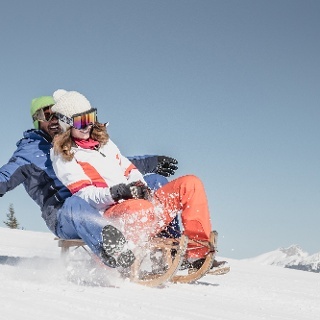 The Saanersloch Run is a more challenging tobogganing run. The first part runs between Saanersloch and Saanenwald and includes steep sections. It is a challenge for tobogganers and is the longest lap of the Ronda. 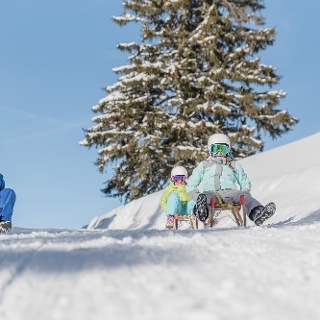 You can stop off for refreshments at the Euter Bar on the ski slope or at the Kübeli restaurant, where you can enjoy their famous Möser kebabs and the great views. The second part of the route runs between Saanenwald and Saanenmöser and is rather easy to navigate. This route is 4.1 kilometres long and takes about 45 minutes. Enjoy the view from the Saanerslochgrat and a warm drink at the Euter Bar. The parking space is at the Saanersloch valley station against a fee.